Since his days as a student at the University of Kentucky, AT&T senior vice president of corporate strategy Michael Bowling has excelled in leadership roles. Convinced that participation in student organizations would prepare him for life, Mr. Bowling served as two-term president of UK’s Student Activities Board and president of Kappa Sigma fraternity. As a result, he received the honor of being named the Otis A. Singletary Outstanding Senior Male. Without question, Mr. Bowling’s college career portended future success. Hired by BellSouth as a technical specialist upon graduating in 1990 with a bachelor’s degree in electrical engineering, Mr. Bowling began eyeing global openings within the company. After earning an MBA from Vanderbilt University in 1997, he began working in an internal group that specialized in consulting and business development abroad. His first taste of international operations came in 2000 as product marketing director for BellSouth International. In that role, Mr. Bowling led projects in Guatemala, Venezuela and Chile. Mr. Bowling’s success opened the way for him to become chief marketing officer for BellSouth’s wireless group in Lima, Peru. He considers a business turnaround he facilitated there to be one of his top career achievements. Returning to BellSouth’s operations in the United States, Mr. Bowling began serving in a variety of vice presidential roles. From 2002-2006, his teams added over 1.6 million DSL subscribers and increased revenue from $500 million to $1.2 billion. He also directed a budget of over $600 million and represented the company to Wall Street analysts and the press. When AT&T purchased BellSouth in 2006, Mr. Bowling spearheaded AT&T’s newly formed entertainment division as vice president of entertainment strategy. In 2007, he became vice president of converged products, shaping AT&T’s broadband product and launching integrated mobile and broadband portal experiences. In 2009, Mr. Bowling left the United States again, this time moving to Mexico City to become president of AT&T Mexico. Managing a team of international professionals and personnel located in Mexico, Mr. Bowling was responsible for managing relationships with local partners America Movil, Telmex and Telmex International. That year, he also accepted a position as an adjunct professor of management on the Executive MBA faculty at Vanderbilt University. 2012 brought Mr. Bowling back to the U.S., where he became AT&T’s chief marketing officer for business solutions. His areas of responsibility included network sourcing, hosting, cloud and application services, mobility, IP networking and leading an organization of 4,000 people that accounted for approximately half of AT&T’s revenue. Toward the end of 2013, Mr. 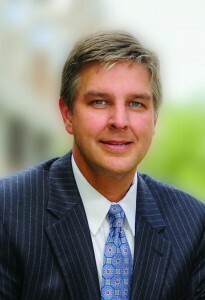 Bowling was named senior vice president of corporate strategy—his 13th position with the company since joining in 1990. In this role, he works alongside AT&T’s senior management and leadership, capitalizing on increasing demand for better mobile technologies. He strongly believes mobile and wireless networks are changing the way work is done and will continue to change and improve everyday life. Mr. Bowling lives in Dallas, Texas with his wife, Nicole, and three children, Isabella, Mark and Webb.